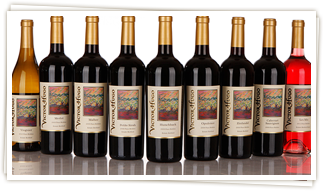 Victor Hugo Vineyards and Winery is one of Paso Robles' most exciting and innovative wineries. 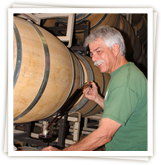 We're also a small, family-owned and operated winery specializing in small, hand-crafted lots of wine with intense colors and flavors. The winery is dedicated to producing elegant, rich wines exhibiting excellent longevity. Please take a few moments to browse our web site and discover why Victor Hugo is, indeed, the promise of the Paso Robles area. March - Zinfandel Festival Open Zinfandel Festival weekend with wine specials and barrels samples. Join us for new releases, limited seating seminars and special events. May - Wine Festival Join us for a celebration of Paso Robles wines during Wine Festival weekend. Limited seating seminars and tasting library wines selected by our winemaker. October - Harvest Festival Harvest Festival weekend we will have crush demonstrations, taste wine from the fermentors and have specials all weekend. A limited seating special seminar on blending and varietal wines. Our award-winning wines begin in our estate vineyard which is dedicated to sustainable farming practices. Located in the Templeton Gap on rugged hillsides with highly calcareous, fractured shale soils our vineyard produces small crops with intense flavors and aromatics reflecting our terroir.